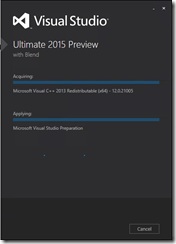 What’s new in Site Collections in SharePoint 2013! 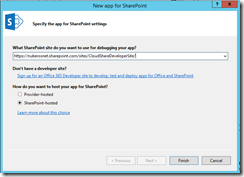 · Navigate to the SharePoint 2013 Central Administration in your CloudShare environment. Under “Application Management” section, click the “Create site collections” link. In the “Create site collection” page you will see the classic form where you can specify the name, description and URL for the root site in the Site Collection, but you can also choose what experience version you want to use: 2010 versus 2013. Therefore, SharePoint 2013 allows you to create pure SharePoint 2013 sites or just 2010 ones if your organization is not ready to use the new user experience and capabilities what in my opinion provides a great degree of flexibility when moving to the new platform version. So, one question in the air is how this deep integration is possible? Well, there is a short and quick answer: SharePoint 2013 comes with a 14 hive and a 15 hive. The 14 one is maintained in order to provide this backwards compatibility. If you inspect this hive, you will find everything you need in order to create SharePoint 2010 sites in SharePoint 2013 public preview or ensure that upgraded sites work properly. As in previous versions, SharePoint 2013 support Host-Named Site Collections (HNSC). You can find a good definition for NHSC in this great Mark Arend’s article written for SharePoint 2010: HNSC is a mechanism for consolidating existing web applications into individual site collections, yet retain their existing URLs. This is a feature of SharePoint that allows individual site collections to have their own top-level URL. New-SPSite cmdlet allows to create a HNSC adding a host name (http://domain.local in this case) which is a top URL. HostHeaderWebApplication parameter identifies the Web Application where the site collection is being created. Finally, the rest of the parameters are the usual ones needed to create a Site Collection. Once you execute New-SPSite using previous syntax, you will see as a result the URL of the new HNSC and the compatibility level. 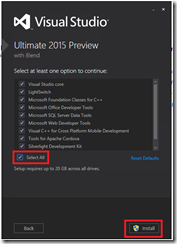 In order to add new top URL to a HNSC, SharePoint 2013 incorporates the Set-SPSiteUrl cmdlet. This command needs the URL of the HNSC as input parameter followed by the new top URLs to be added. These new URLs should have an existing domain or alias created in your DNS. If you want to list all the Top URLs assigned to a HNSC, just use the Get-SPSiteUrl cmdlet indicating the URL of the HNSC you are asking about. Once you are done, try to access to your SharePoint site using any of the configured Top URLs and check everything works as expectedJ. And that’s all about some of the cool things coming with Site Collections in SharePoint 2013 public preview. You can test them in your CloudShare environment.. Happy CloudSharing!